INVESTORS!!! DEVELOPERS!!! SCHOOLS!!! 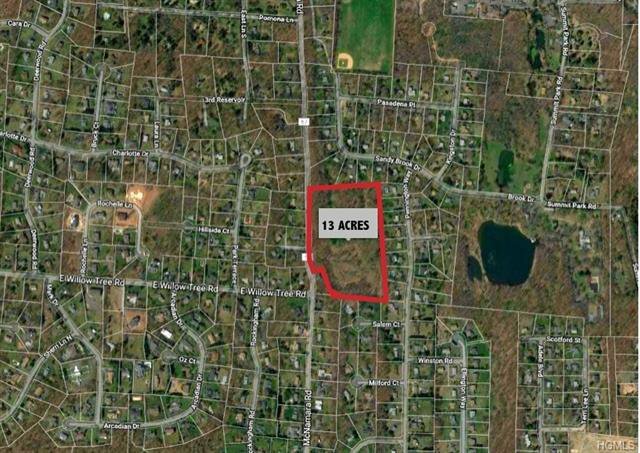 RARE OPPORTUNITY TO OWN 13-ACRE PARCEL IN PRIME NEW HEMPSTEAD LOCATION. Previously approved for school w/4 buildings totaling 56,000+ SF (2005). Plans/engineering available. This large lot also has potential for subdivision for residential development. Village of New Hempstead is considering downzoning this parcel to R-25 as part of the upcoming Master Plan!!!! ...or bring your friends and build your dream homes together. Located on the border of Wesley Hills.